The Eastern Sierra Fishing Coalition (ESFC) is comprised of all the major trout lakes in the region — ranging from legendary Crowley and Convict to serene Mary and Silver. Spearheaded by Mammoth Lakes Tourism (and its promotion superstars John Urdi and Whitney Lennon), the ESFC was formed to promote not only better angling throughout the season, but also the potential for visitors to catch the trophy trout of a lifetime. The ESFC, in partnership with Mammoth Lakes Tourism, has raised money all year from raffle tickets sold at 30 different retailers throughout Mono County. These funds will be use to stock ESFC lakes with lunker-class world-famous Alpers rainbow trout in time for the April 27 season opener. 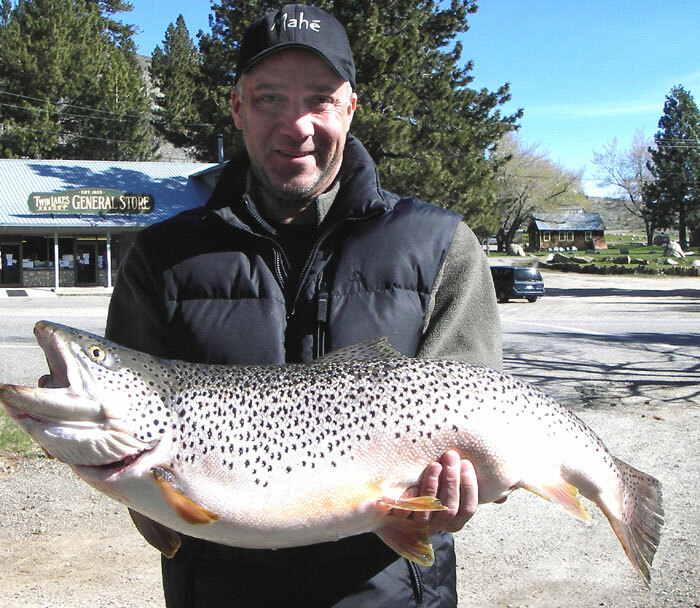 Tackle retailers, including Silver Lake Resort, Convict Lake Store, Ken’s Sporting Goods, Rick’s Sporting Goods and Twin Lakes Resort, were leaders in this region-wide fundraiser to stock the trophy trout. Mammoth Lakes tourism serves as the vortex for all angling and recreational activities in the area. Information is available on campgrounds, RV sites, hotels, lodges, condominiums, restaurants, kayak sites, cycling, hiking, climbing, art and music festivals, and, of course, updates on area lakes and weather conditions. Stop by the Mammoth Lakes booth at the Del Mar Fred Hall Show.